These are the random pictures taken by MARICOR AGONCILLO during the Fiesta celebration in Cagayan de Oro City, Philippines. 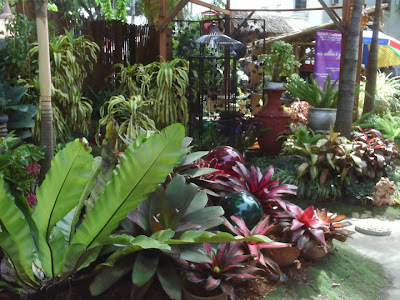 Every August 28, the city celebrates the Fiesta in honor of St. Augustine of Hippo. 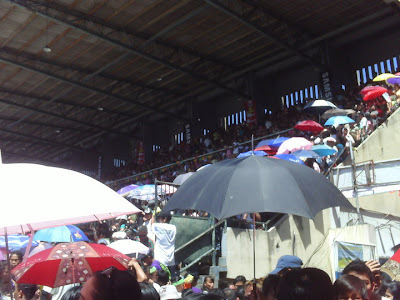 If you want to see more photos of my city, visit cagayan-de-oro.com. I live in this city all my life. During Fiesta, my mother and I always visit the cathedral church first, watch the parade, go to SM and see if there are FREE concerts. 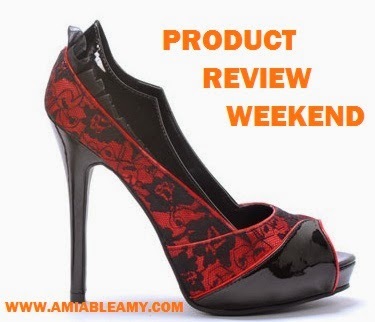 Aside from that, we love to buy something from the display of different products either in Lim Ket Kai area or in Divisoria. The picture above was taken in SM. Crowd gathers in SM mall to see a LIVE Show from Manila performers. 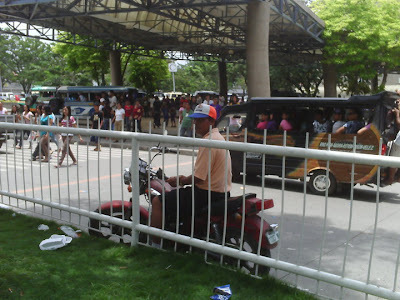 The picture below was taken at the grandstand. I usually do not go here because the crowd is really like this every Fiesta who watched the final performance of the participants of the parade. Huge crowd, hot and muggy environment! 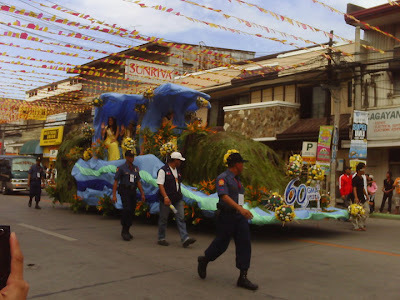 The picture below is the float of GMA. Usually, the participants of the parade are big companies in the city, selected agencies and schools. 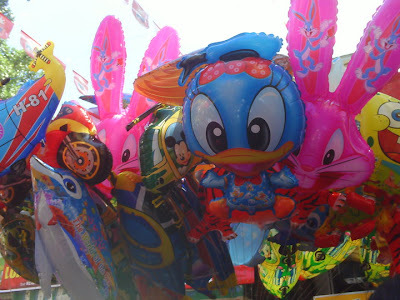 These balloons are common products of the vendors during fiesta. I saw this too in Louisiana and Mississippi during Mardi Gras Parade, would you believe it? It is a good business here and I bet, the balloon vendors in CDO did farely well. I love the picture below because it is very colorful. It can be use as makeup artist business cards, don't you think?